In the early 1960s Ford Motor Company embarked upon a course to become a serious competitor in World Manufacturers’ Championship racing. Possibly the most remarkable aspect of the GT40 was that it ever saw the light of day. 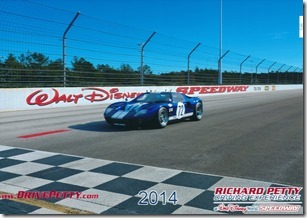 Within a huge and unsentimental industrial empire like Ford, it was almost irrelevant to create a sports racing car. 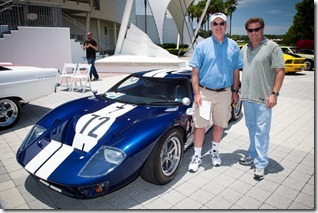 Yet it was Henry Ford II’s failure to acquire Ferrari that made him determined to manufacture the GT40 – and improve Ford’s image as a “Total Performance” car company. 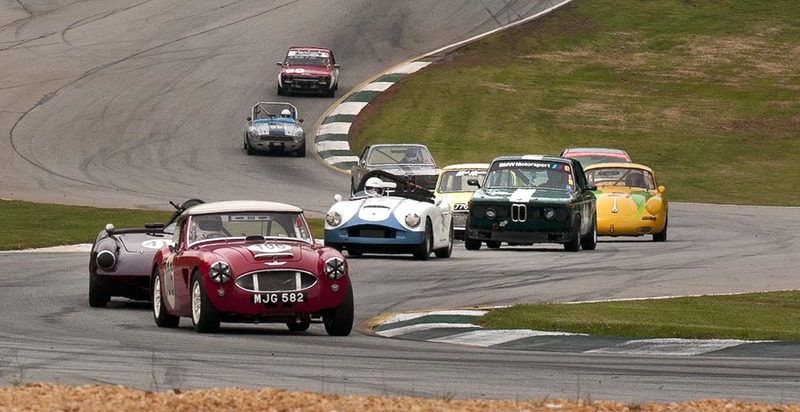 One of the first steps was to establish Ford Advanced Vehicles in Great Britain, a corporate entity commissioned to design Ford-powered, Group 6 racing machines. 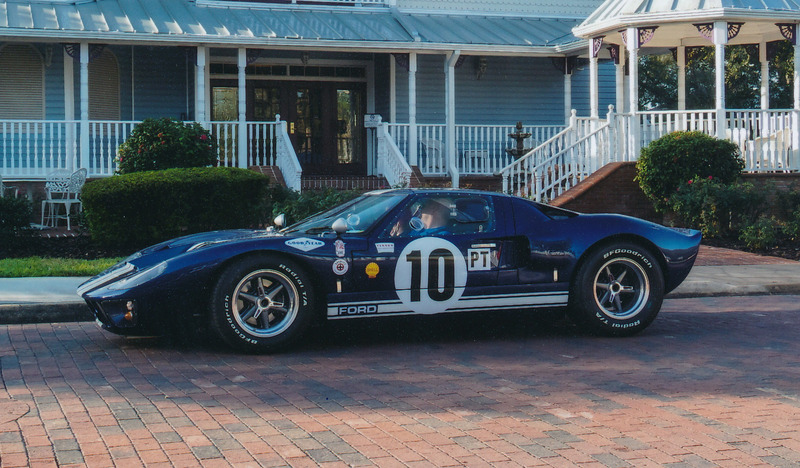 The GT40 Mark I, loaded with Ford’s small-block 289 cu. in. 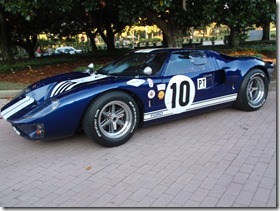 V8, was the first of the GT40 series to emerge from the FAV unit. (The ‘40’ referred to the car’s height… 40 inches from pavement to roof.) 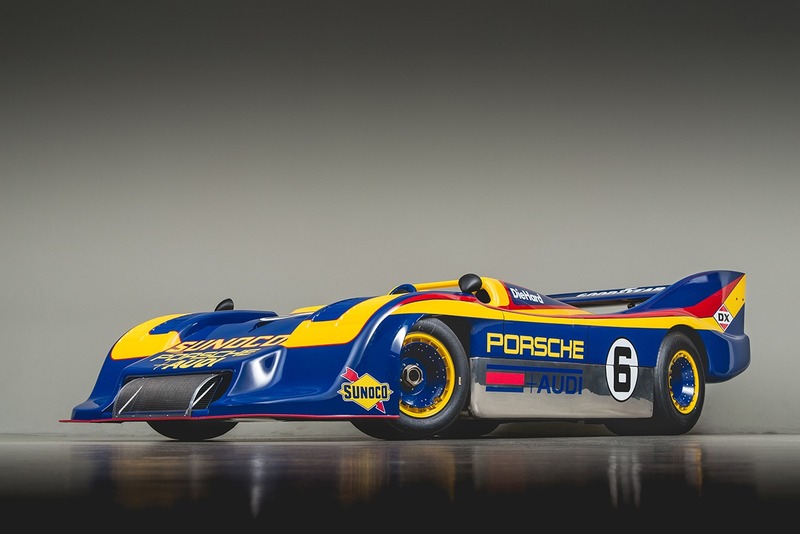 These Mark I’s attained legendary stature as they swept away the Ferraris and Porsches with First-Place wins at tracks such as Daytona in 1965 (pictured above), Sebring (1966), LeMans (1968 & ‘69), and others too numerous to list. GT40 drivers were a veritable Who’s Who of the international circuit, including Phil Hill, Lloyd Ruby, Bruce McLaren, Dan Gurney, Bob Bondurant and Mark Donohue, just to name a select few. 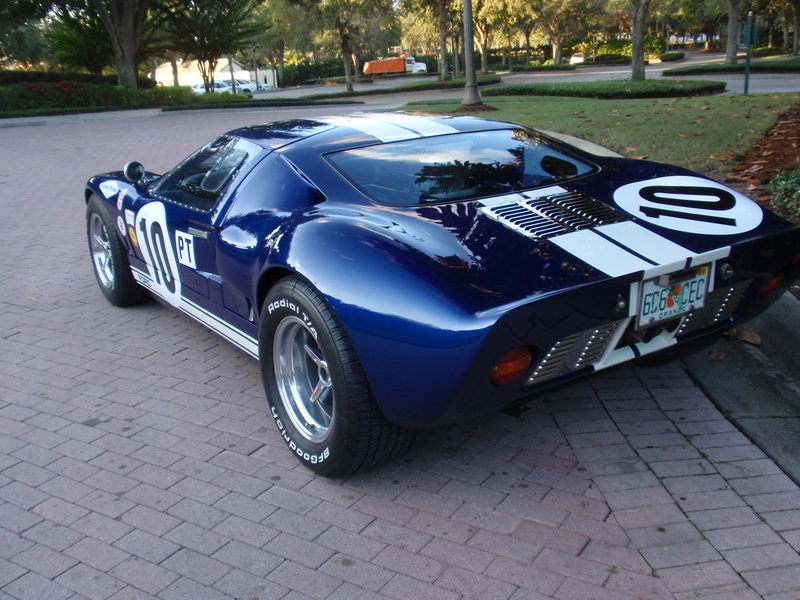 This particular car is a replica of the 1966 GT40 Mark I. The stainless steel monocoque chassis and composite body were built by CAV-Autofutura in Cape Town, South Africa. It takes around 600 man-hours to complete each car by hand. It was then imported to the US as a rolling chassis and mated to a Ford Motorsports short block 302 HO V8 and GETRAG 5 speed transmission. The engine has Edelbrock heads, manifold and carburetion. It is rated at 417 BHP.